There has been some discussion on how the different items in the Midgard roadmap fit together. Here is my company's view on how we see ourselves proceeding. Having consolidated sites to MidCOM 2.8 and PHP 5.2, it will be very easy to migrate to Midgard 1.9 (PHP4 not supported). While Midgard API changes somewhat (Exceptions, Midgard_Connection) between 1.8 and 1.9, MidCOM 2.9 (currently called "trunk") is able to hide that from site builders. The main reasons to switch from Midgard 1.8 to Midgard 1.9 are performance, new installer and the ability to run MidCOM 3 alongside MidCOM 2.8. While MidCOM 3 requires complete site rewrite from 2.8/2.9, this phase makes migrations and running sites with both versions on same server possible. 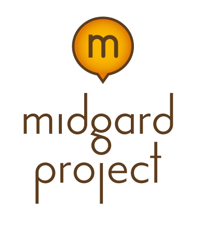 Once a server has completely migrated from MidCOM 2.x sites onwards, it will be possible to make the final jump to the full new generation Midgard platform. 23 April 2007. 1 minute read.